Our baskets are hand made by the skilled traditional weavers that live in Bolgatanga, Upper-east Ghana. 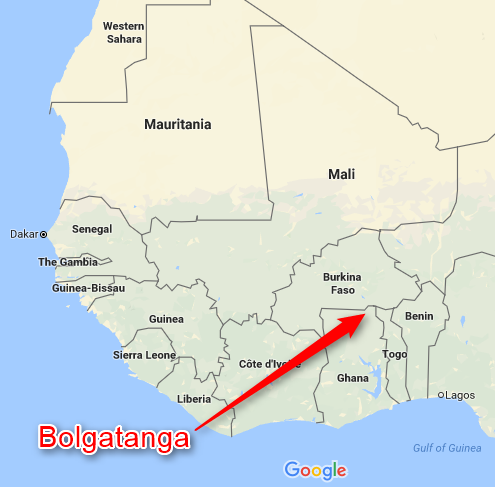 Care for Basket currently co-ordinates, supplies materials and provides fairly paid work to 3 rural communities in Bolgatanga. 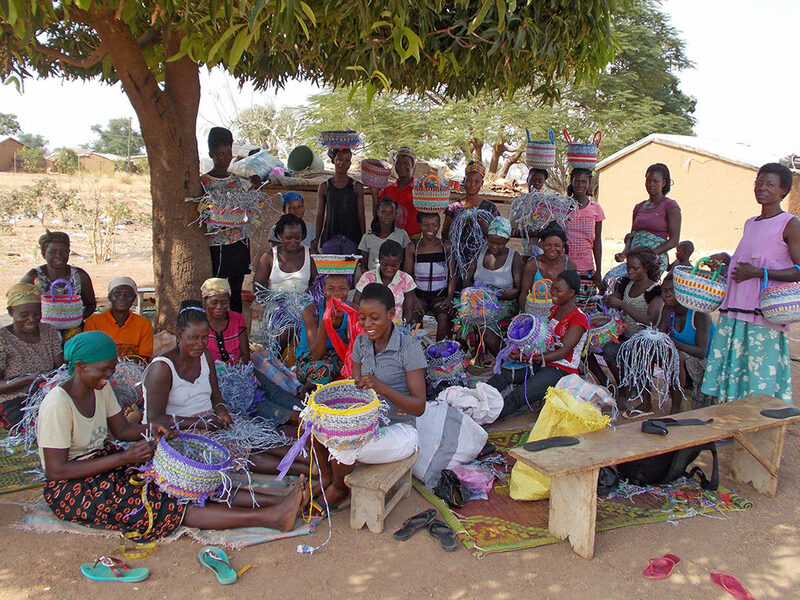 Weavers of the Zaare Akundembisi Community (above) happily weave our unique and colourful CO’OM design baskets to support their families and pay for their children’s education. 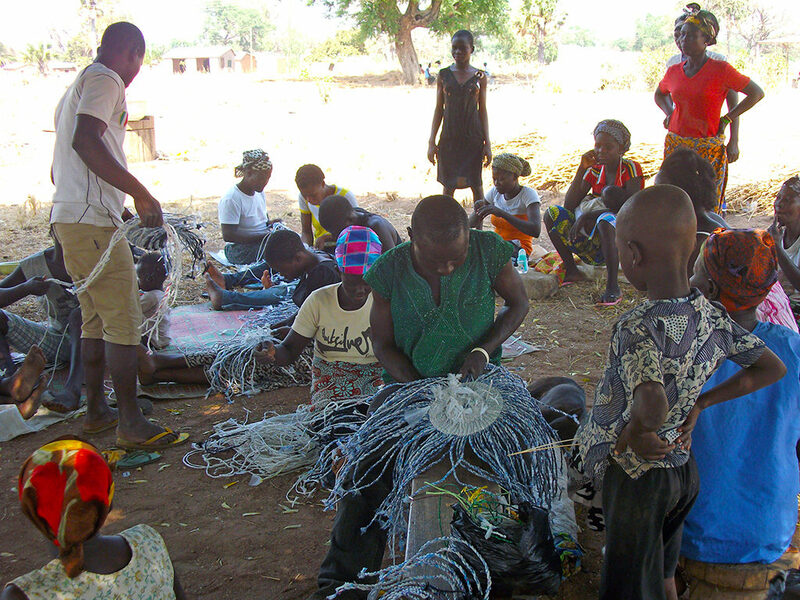 Weavers of the Zaare Amoabisi Community (above) busy weaving our fruit basket designs. 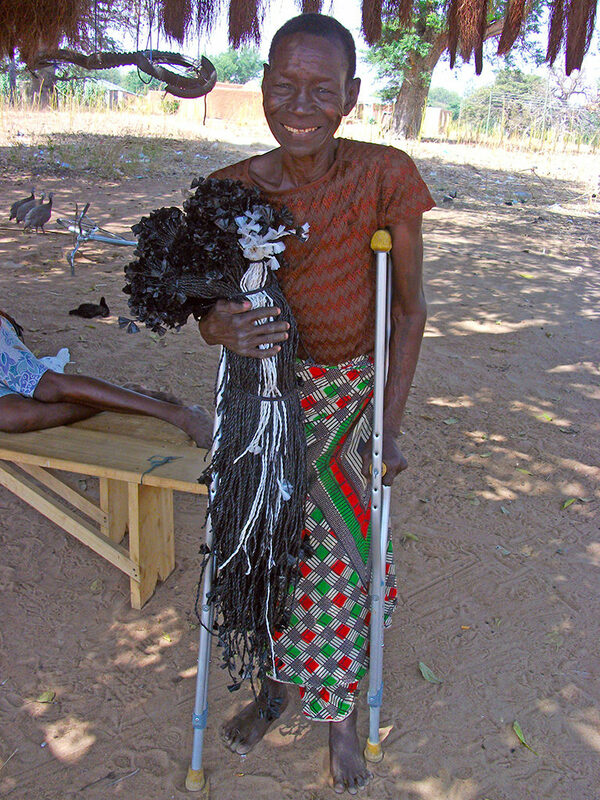 Care for Basket works with both abled and disabled members of the Bolgatanga communities. 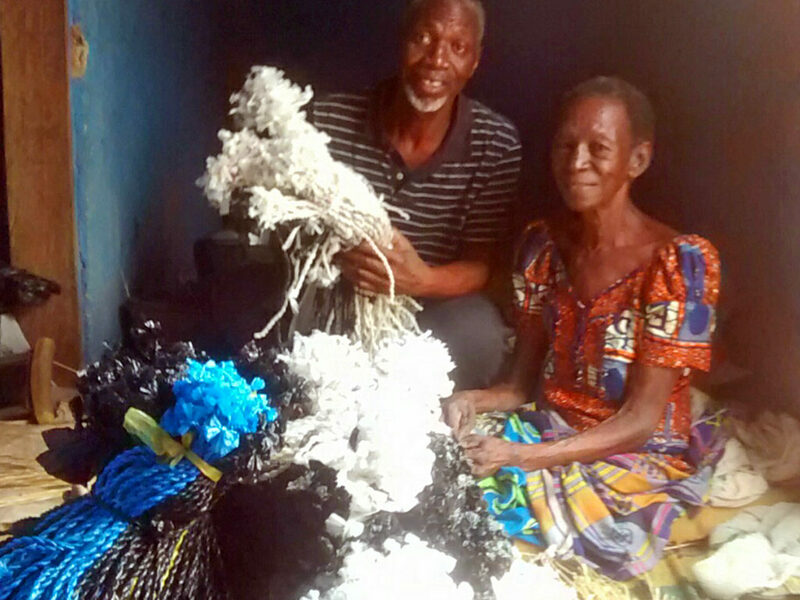 Jib, the founder of Care for Basket, collects twisted plastic strands from Madam Ayinpome. Madam Ayinpome (above) is one of our Care for Basket quality controllers for twisting. This is a very important job and ensures that our baskets stay strong.